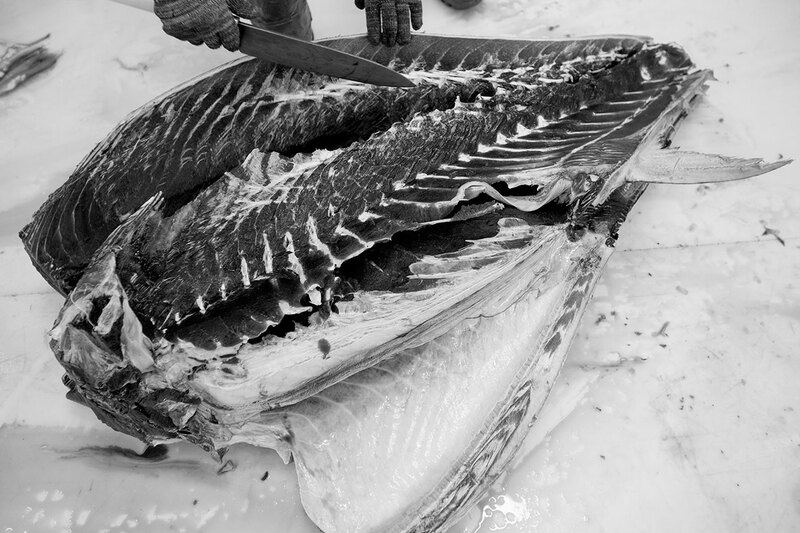 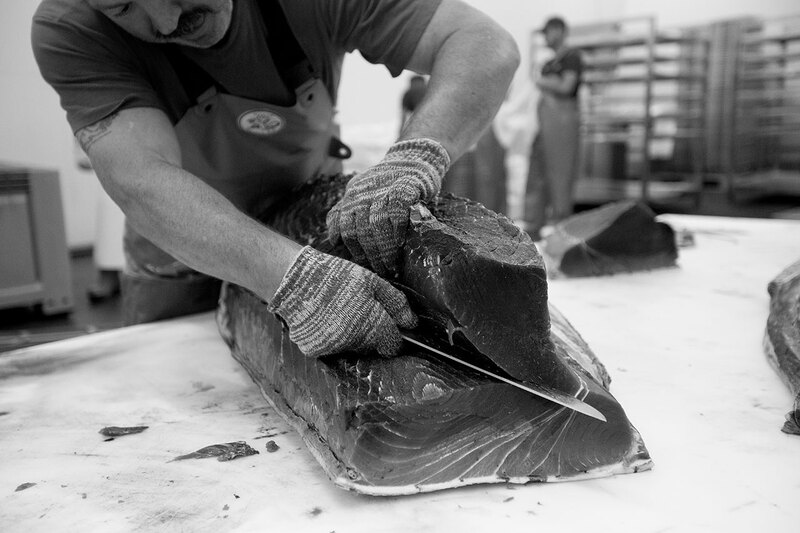 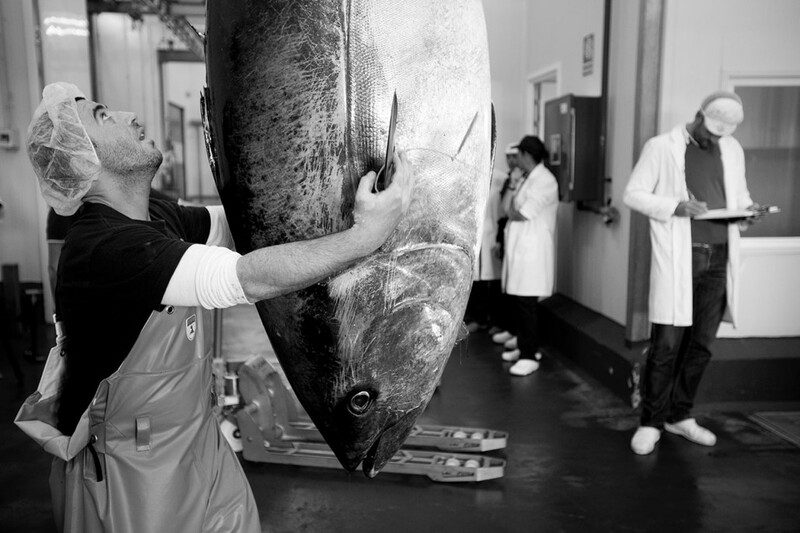 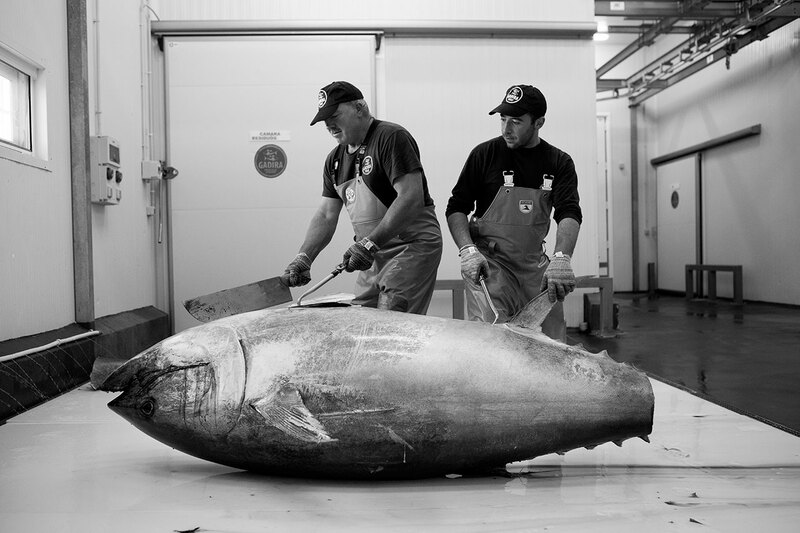 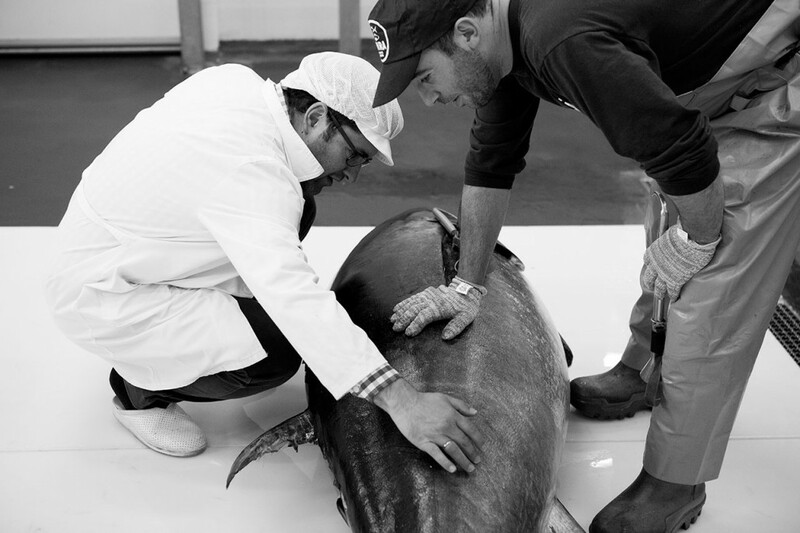 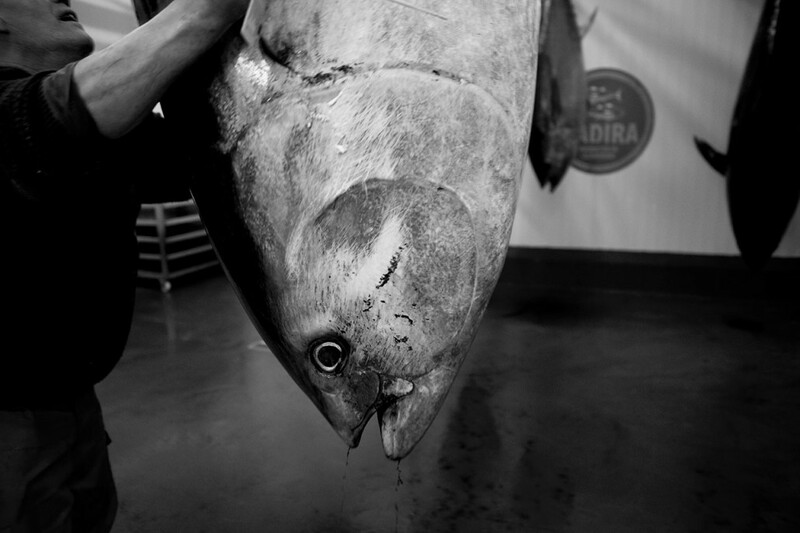 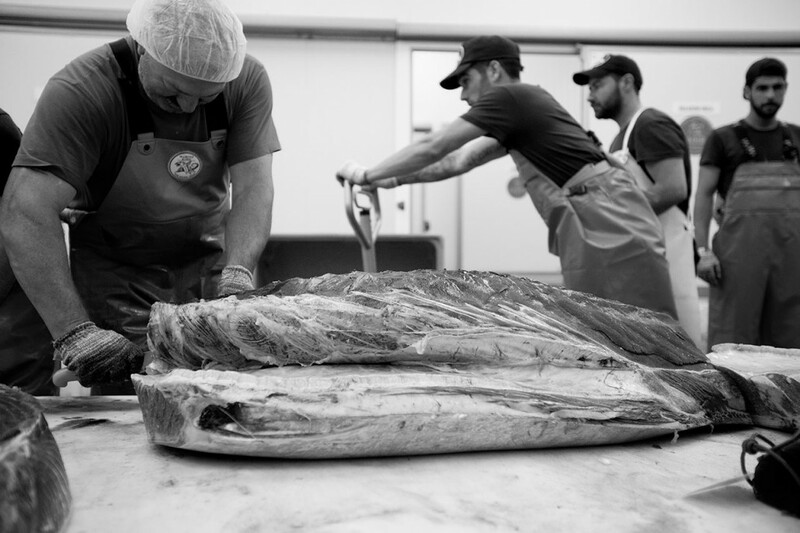 “Ronqueo” is the traditional quartering of the red tuna. 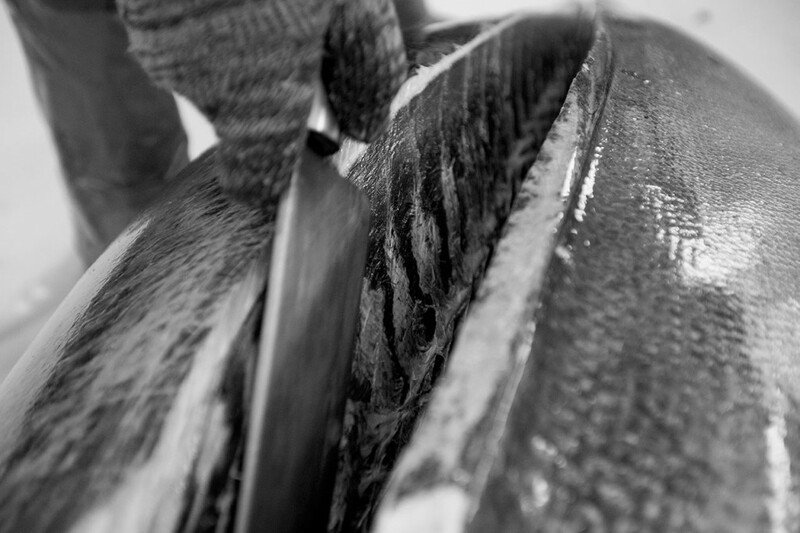 The name comes from the noise the knife does when passing through the dorsal spine of the fish. 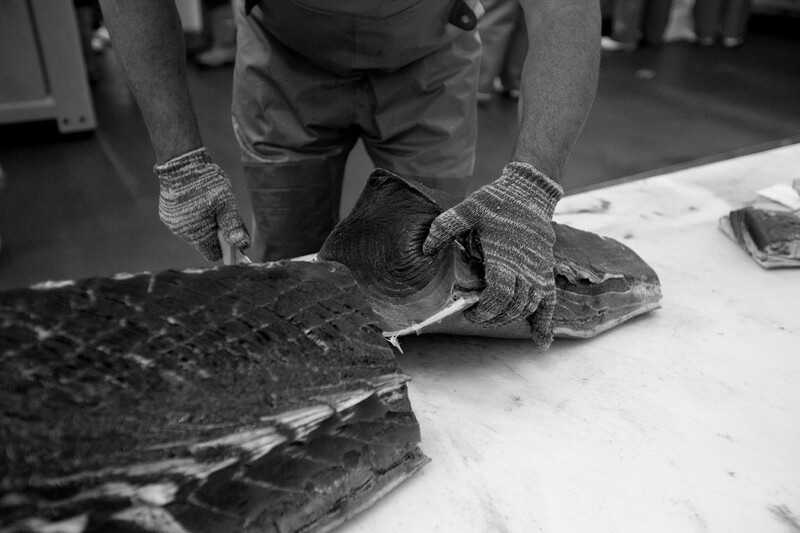 It is a manual quartering done in parts depending on the degree of fattening of the muscle and not following a chart of differentiated muscle parts. 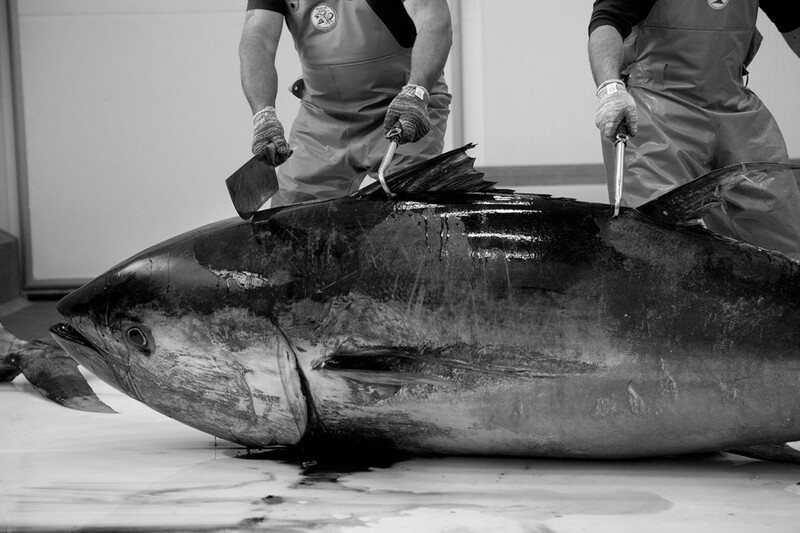 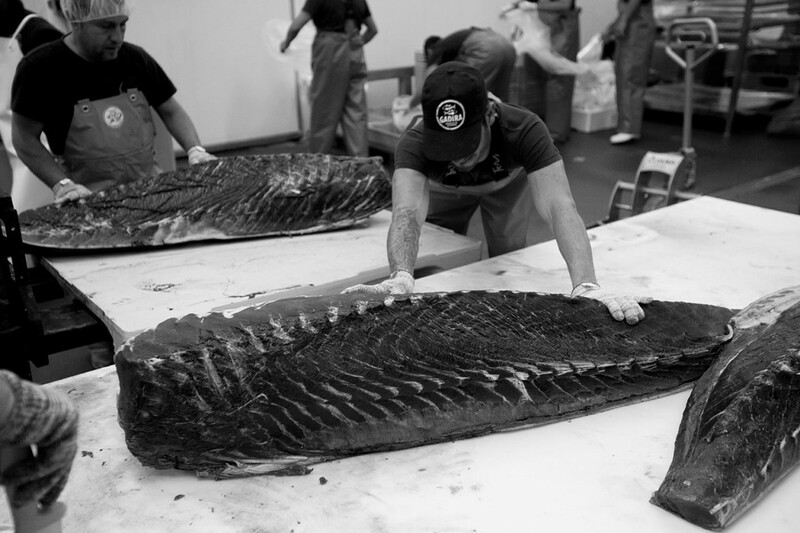 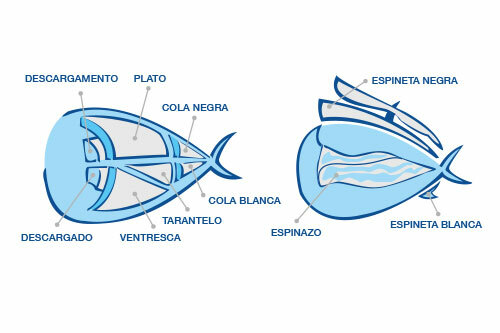 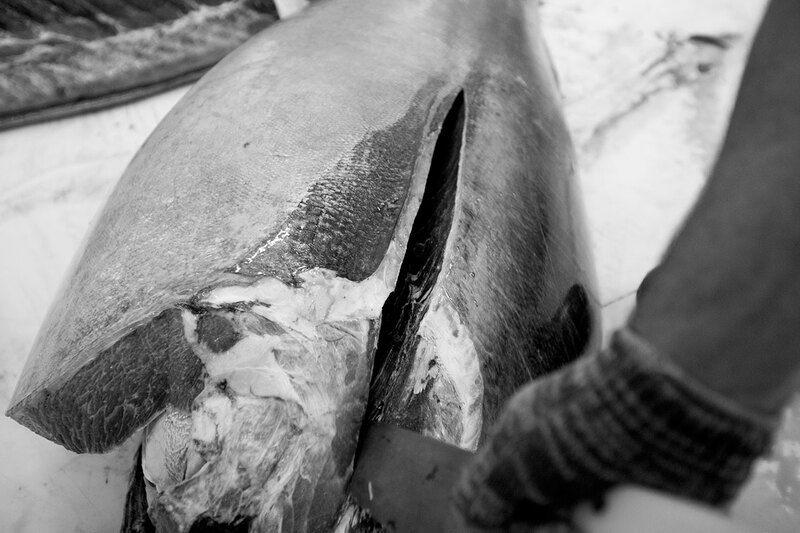 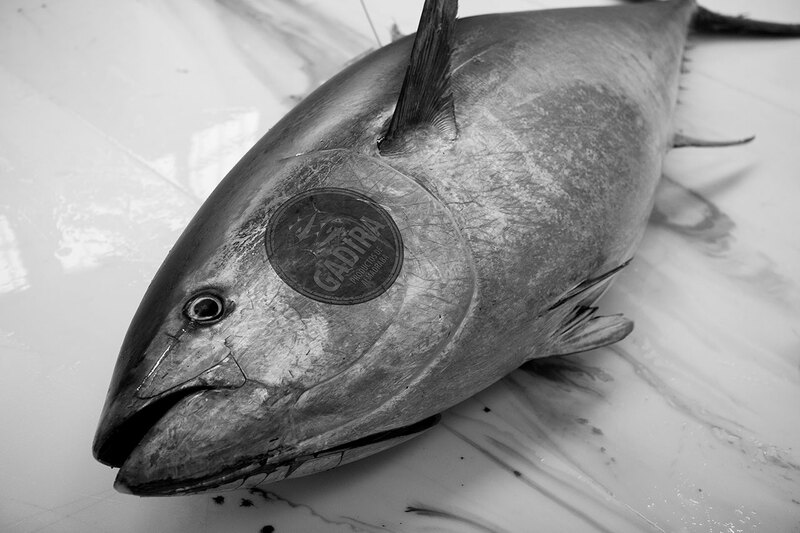 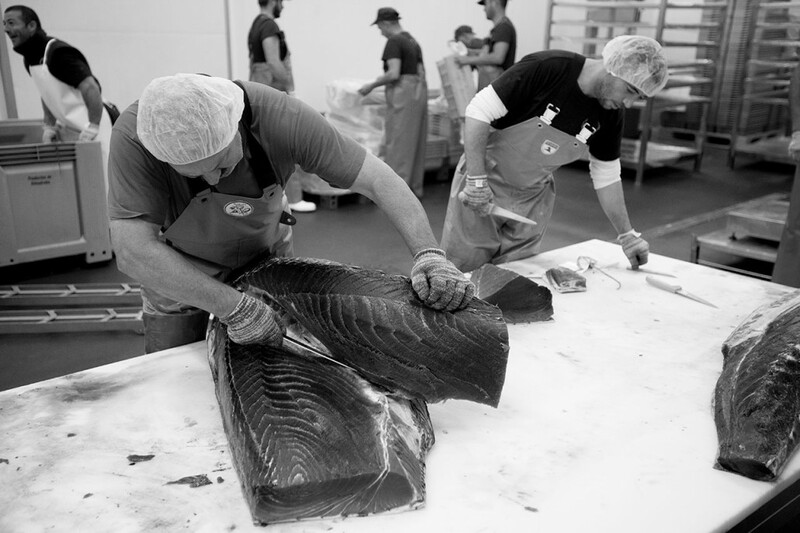 Different parts of the tuna are extracted both for fresh consumption and elaboration of products. 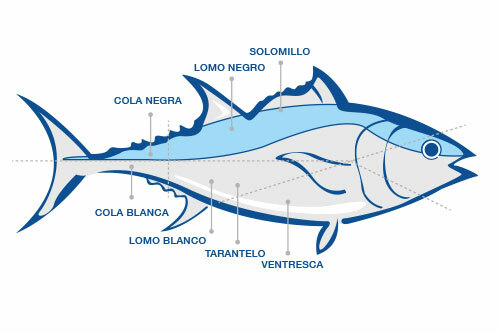 24 pieces are extracted in total, it is used practically to the 100%, for that reason red tuna is known as the “pig” of the sea. 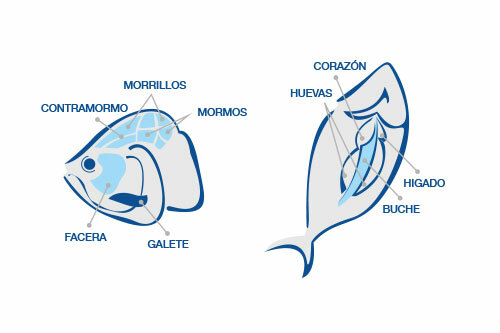 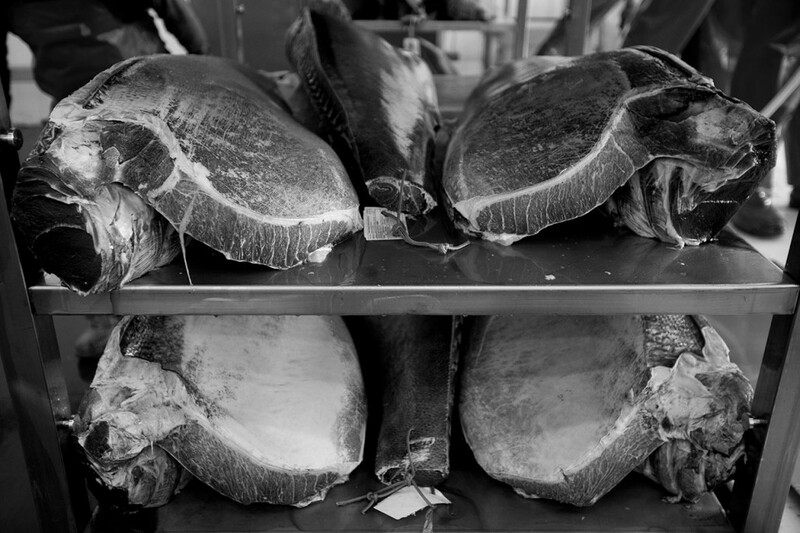 Cuts are made according to the zones with more or less fat, but is true, all of them are tasty.